Time for a gluten-free product review, woop woop! Before I was diagnosed with Celiac, I used breadcrumbs all the time…on baked dishes, in veggie burgers, and for crispy baked tofu. The first few brands I tried were…questionable at best. But FINALLY, 2 years later, I’ve found one that is actually comparable (no, really) to it’s gluten-full counterpart. 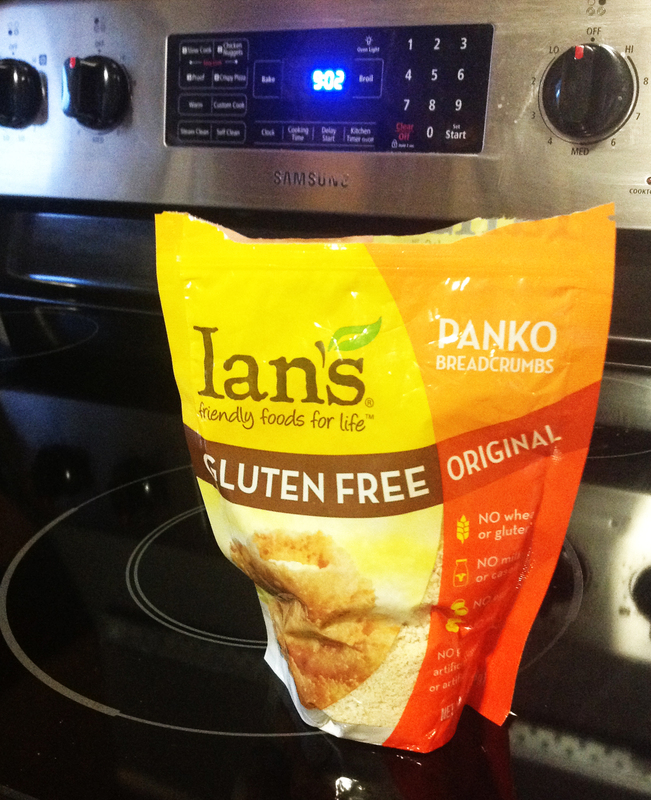 Ladies & Gents, Ian’s Gluten-Free Panko Breadcrumbs. Bonus, they are vegan! I use these all the time to top my Guiltless Alfredo Spaghetti Squash Bake, and to add texture to my tofu scrambles. EXTRA BONUS: I didn’t have to go to a health food store to find them! They were right in the baking aisle of my regular supermarket. BAM.